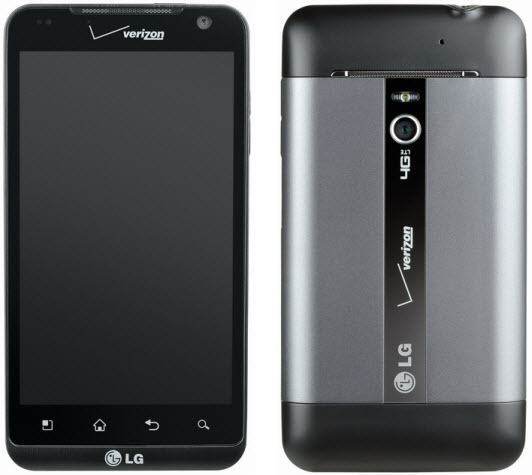 LG recently announced the LG Revolution smartphone with 4G LTE capabilities. This handset is powered by the Android 2.2 (FroYo) OS and it will be exclusively available for Verizon Wireless customers in the US. The handset comes with the mobile hotspot capability, which allows you to share 4G connection with up to 8 Wi-Fi devices. “Being an innovation and technology leader has always been a top priority for LG and we are thrilled to unveil a new level of smartphone capabilities and features. LG Revolution marks the beginning of new technologies and products that will complement on-the-go consumers looking for high-speed connectivity in one compact device,” said Tim O’Brien, vice president of marketing for LG Mobile. LG Revolution features a 4.3 inch capacitive touchscreen screen display, Android 2.2 (FroYo) operating system, Virtual QWERTY keyboard, Bluetooth 3.0, Wi-Fi, 4G LTE connectivity, 5 megapixel camera with autofocus and flash, video telephony support with front-facing camera, DLNA, HDMI, 16GB internal memory, MicroSD card slot, 32 GB expandable memory, DIVX, Proximity sensor and more. LG has not revealed any details, regarding the processor is used in this smartphone. According to the rumors, LG Revolution comes with the Nvidia’s Tegra 2 processor, but we are not sure regarding this. The price and availability of this handset has not been announced yet. Stay tuned for more updates regarding this powerful smartphone. Next Entry: HTC Thunderbolt ROM Leaked!